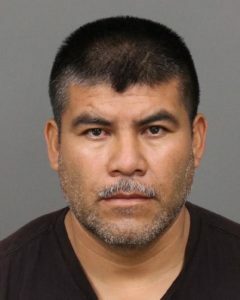 After more than six years on the run, a man who allegedly carried out a bloody machete attack in Grover Beach is now sitting in San Luis Obispo County Jail. Damaso Labra, 41, was arrested in Texas. Around 9:30 on the night of July 31, 2010, Labra allegedly entered a man’s home on South 13th Street and, without saying a word, began hacking at him with a black machete. The attack left the victim with gashes to his head and arms. Labra then fled and was last seen driving a faded red Buick with tinted windows. Labra and the victim had physically fought one another earlier on the day of the attack, according to the Grover Beach Police Department. Labra’s brother attempted to break up the machete attack and was also injured. Following the attack, Grover Beach detectives determined Labra was no longer in the area. Police officials submitted the case to the San Luis Obispo County District Attorney’s Office with a request that a warrant be issued for Labra. SLO County Superior Court then issued an arrest warrant with a $1 million bond. Labra was recently arrested on that warrant in Del Rio, Texas, where he had been living, a Grover Beach Police Department news release states. Early last month, the United States Marshals Office contacted Grover Beach police and notified them that Labra had been arrested. It is unclear how authorities tracked him down. Labra has since been extradited to San Luis Obispo County. Officers booked Labra in SLO County Jail on Dec. 4. The suspect remains in jail with his bail set at $1 million. He is awaiting prosecution on charges of attempted murder, possession of a deadly weapon and assault with a deadly weapon while inflicting great bodily injury. Meanwhile, Grover Beach police have re-opened the investigation into the case, and detectives are following up on leads. The police department requests that anyone who has further information about the case call Detective Brad Carey at 805-473-4511. We pay for extradition from Texas, we pay for defense attorney, we pay for cops (local, state, and federal) we pay for trial, we pay for incarceration. One violent outburst will cost us millions of dollars before it’s over and all is said and done. That would pay for 3 or four kids to get a university degree. We’re forced to spend it on this joker instead. Would this have happened if a wall had been built? And what “wall” would that be? Since the article doesn’t ID MR. Labra as one if the most feared and all evil “Mexican Illegals” you must mean the wall that should be built between SLO and reality, right? Let me assure you, the wall of intollerance is already in place and it’s foundation probably could be found right there in SLO, don’t you know? If you don’t know just look to your own post…. Well, it seems to me that the “wall of intolerance” isn’t nearly as tall or as strong as it should be, because America’s level of intolerance for violence as a means of problem solving is virtually non existent. There will never be a wall it was a ploy for your vote. We said build a wall, it played well during the campaign, but we won so we don’t care. The Deportations will soon start and the left will scream bloody murder…What a Great Election.